Teaser Tuesdays is a weekly meme hosted by Miz B at ShouldBeReading where you randomly take two lines from your current read and highlight them in a post, but be careful not to put up spoilers. 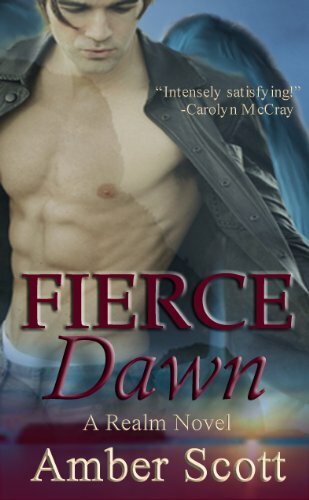 Our choice this week is from Fierce Dawn by Amber Scott. "Dazed, Elijah righted himself. He held his hands up. "I'll leave if you really want me to, but before you make me go, please consider this. I can answer every question that is forming in your head right this second, if you will just give me the chance." If you haven't heard about or read Fierce Dawn, here is the summary: Snarling teeth, glowing eyes. Someone--something--is after her. Umm, interesting. Hadn't heard of this one. Must check it out. Thanks. Thanks for sharing the blurb - I had not heard of this book before. This one sounds great. I love the cover. Oho! Intriguing there! Very good teaser. And I'm liking the cover, hehe. An interesting teaser! I have this one on my TBR pile.